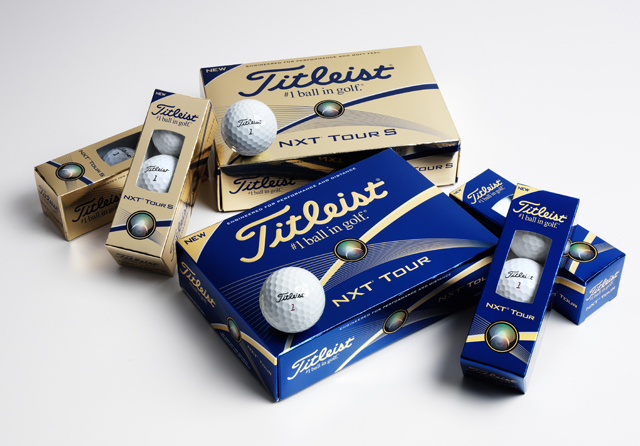 The NXT Tour is a three-piece construction wit h a two layer core and Titleist’s Fusablend cover of 302 dimples in a complex tiled octahedral pattern. Fusablend is their propriety formulation and is softer than the Surlyn used for many other non-Tour category ball covers. 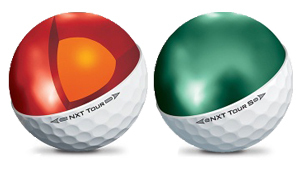 The NXT Tour S is a two-piece ball with a somewhat softer Fusablend cover compared to the Tour but with the same dimple design. The results from our average players were interesting. They used both the white and yellow colors in the Tour S but only white in the Tour because it doesn’t come in yellow. Each of the four liked the yellow’s increased visibility even to the point of saying not only was it easier to see but in one case commenting the color gave him some added confidence.